From Goodreads: Fighter. Faker. Student. Spy. Seventeen-year-old Reagan Elizabeth Hillis is used to changing identities overnight, lying to every friend she’s ever had, and pushing away anyone who gets too close. Trained in mortal combat and weaponry her entire life, Reagan is expected to follow in her parents’ footsteps and join the ranks of the most powerful top-secret agency in the world, the Black Angels. Falling in love with the boy next door was never part of the plan. Now Reagan must decide: Will she use her incredible talents and lead the dangerous life she was born into, or throw it all away to follow her heart and embrace the normal life she’s always wanted? And does she even have a choice? 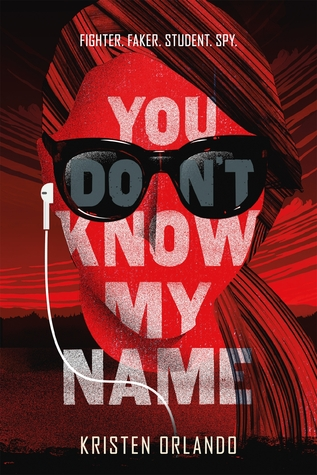 Thoughts on the Novel: An entertaining read while it lasted, You Don’t Know My Name by Kristen Orlando begins with Reagan being tired of constantly having to be undercover and feeling indecisive about her future – should she follow her parents’ footsteps and join a covert government organization or go to college and ultimately have a normal life? One of the reasons Reagan wants to be a regular girl of course is because there’s a boy … who coincidentally wants to go into the military and therefore knows how to shoot and not be a liability on a mission. Considering that Reagan is a teenager, it’s not surprising then that there are many plot holes in You Don’t Know My Name; but I chose to overlook those in favour of the action and suspense. From Goodreads: Marinda has kissed dozens of boys. They all die afterward. It's a miserable life, but being a visha kanya, a poison maiden, is what she was created to do. Marinda serves the Raja by dispatching his enemies with only her lips as a weapon. Until now, the men she was ordered to kiss have been strangers, enemies of the kingdom. Then she receives orders to kiss Deven, a boy she knows too well to be convinced he needs to die. She begins to question who she's really working for. And that is a thread that, once pulled, will unravel more than she can afford to lose. Thoughts on the Novel: With a synopsis promising an assassin – an instant addition to my want-to-read list – capable of killing with a kiss as well as elements of Indian folklore, I was really excited to read Poison’s Kiss by Breeana Shields. It’s too bad then that the aforementioned assassin turned out to feel guilty about killing so many boys! It’s very annoying when I think I’ll be reading about a deadly assassin and instead end up reading about a person drowning in remorse! On top of that, Marinda was so naïve and ignorant, believing everything told to her and never bothering to ask questions! As if that wasn’t bad enough, making everything worse was the fact that there was an insta-love romance. Seriously, like after two conversations with Deven, Marinda was willing to risk her life for Deven! 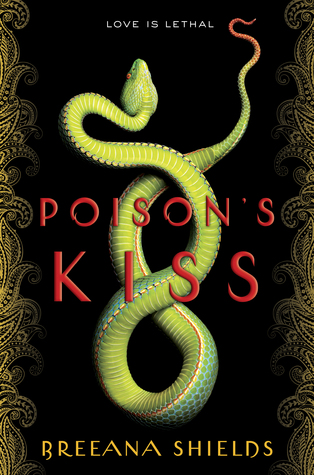 A book that definitely didn’t live up to its potential, Poison’s Kiss was released by Random House Books for Young Readers in January 2017. Aw man. I read a glowing review for Poison's Kiss so I picked up a copy. But that's so disappointing! Gah. Thanks for sharing. Sorry to hear Poison's Kiss wasn't as exciting as you had hoped. IT would be hard to read about an assassin full of guilt all the time! Oh no, not the dreaded insta-love! :( What a shame. I don't know if the whole remorseful assassin thing would bother me, but the insta-love sure would. I've never heard about You Don't Know My Name before but I'm super intrigued! I'm always up for action and suspense, and Gallagher Girls has given me a big love for spy novels. I've heard some disappointing things about Poison's Kiss and you're review has only further convinced me to pass on it. Such a shame because the concept is really interesting. The first book sounds like a fun, breezy read that I wouldn't mind spending a weekend reading, but I will definitely skip the second book. I hate when a book's blurb is much better than the actual book. So disappointing! Poison's Kiss sounds like it should be so much fun! It's to bad it didn't live up to your expectations. The protagonist would have got on my nerves I think. Another one I'll probably skip.